Corporations must have a vested interest in their local and global environments. 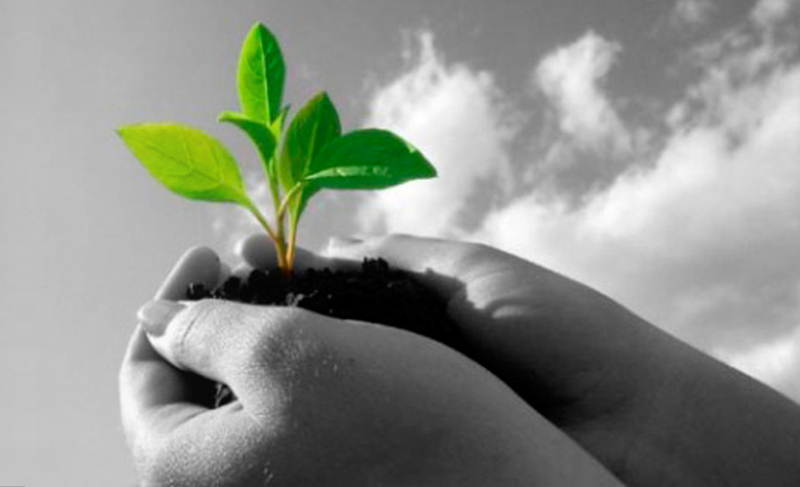 At Linamar, we take pride in our initiatives for improving the environment and communities in which we operate. 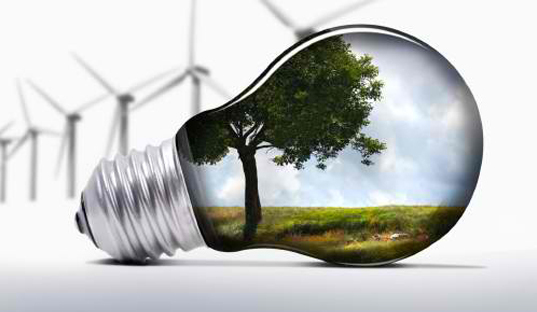 One of our three main pillars of strategy is to constantly expand our green technologies. We strive to continuously contribute to light-weighting, reduced emissions, and better fuel economy in the vehicles we manufacture products for. Linamar is constantly trying to discover more sustainable ways to carry out operations. As a manufacturing company we understand the need to minimize the impact of our operations and our products on the environment. We are committed to the continuous improvement of vehicle fuel economy, and the reduction of our consumption of precious resources. To learn more about the programs that we have in place to protect the environment, please visit our sustainability page. We perform extensive research design projects and work with customers on solutions that improve vehicle fuel economy. This includes active management of driveline systems, electric and hybrid vehicle applications, and component weight reductions. We focus on reducing consumption of precious resources within our manufacturing facilities. Rooftop rain re-capture systems have been installed to supply natural rain water, which is used in the cooling systems of machining equipment in the place of municipally supplied water. In addition, many of our manufacturing sites have been retro-fitted with low-energy lighting to reduce electricity usage. We invest in solar panel installation on nearly all of the roofs of our manufacturing sites in Ontario. The usage of the available real estate for solar electrical production reduces the total electrical usage required and supplies power back to the local grid. The carpet in the Centre's Technology Hall, made from recycled soda bottles and recovered textile fibres, is a modular, flexible solution that naturally lends itself to less trimming waste and simple tile replacement. During construction of the building, the concrete demolition materials from the previous structure on the site were broken up and reused as a structural granular base under the parking lot, elminating the need for additional fill. The living walls, also known as a green walls or urban gardens, are an aesthetically pleasing addition to our Technology Hall that provides new oxygen and filters clean air into the building. The Centre uses properly designed, natural ventilation which creates uniform temperatures throughout the building and reduces the heating and cooling costs and carbon footprint by the use of an automated control system. The large glass curtain wall, adjacent to the cooling pond, will open as will the skylight, creating a flow of air that assists to regulate the indoor temperatures. A key element of our social responsibility is our Basic Code on Working Conditions Policy. The Basic Code is a globally accepted framework that outlines an organization’s commitment to eliminating practices that infringe upon human rights, align to guidelines for multinational enterprises and fosters the principles for balancing employee satisfaction and illustrates our desire to be not simply an employer of choice globally but also a socially responsible corporation. seek suppliers who agree to commit to the same principals in an effort to ensure adequate working conditions across our supply-chain. Our Ethics for Everyone program is available for not only company personnel, but also shareholders, customers, suppliers and members of the community to report concerns regarding our compliance with this Code or any other issues they may have with the ethical behavior of the company. To learn more about the Linamar Commitment, please review the following policy statements. Linamar Corporation is committed to treating all people in a way that allows them to maintain their dignity and independence. We are committed to meeting the needs of people with disabilities in a timely manner, and will do so by preventing and removing barriers to accessibility and meeting accessibility requirements under the Accessibility for Ontarians with Disabilities Act (AODA). Where the complete removal of barriers is unattainable, Linamar Corporation will attempt to accommodate persons with a disability in an appropriate and effective manner. We believe in integration and equal opportunity, and thus we aim to create an inclusive culture. Re-assessing and improving our toxic reduction plans on a yearly basis. A significant contribution to the Guelph community was our donation to The Foundation of Guelph General Hospital's MRI & More Campaign. This donation helped to fund the three campaign priorities: acquiring an MRI scanner, enhancing the emergency department care, and providing equipment for regional vascular surgery services. In recognition of this donation, the Emergency Department has been named after the company. In an attempt to further improve the healthcare system within the region, another significant donation was made to St. Joseph's Health Centre to fund an auditorium, which will act as a gathering place with the flexibility to host various meetings and events in order to help patients stay connected to their community. At Linamar, we believe that a simple corporate donation does not allow for enough direct involvement in the community. Each year there are a variety of community events, internal fundraisers and raffles held by the company that engage the entire employee base in this worthwhile cause. 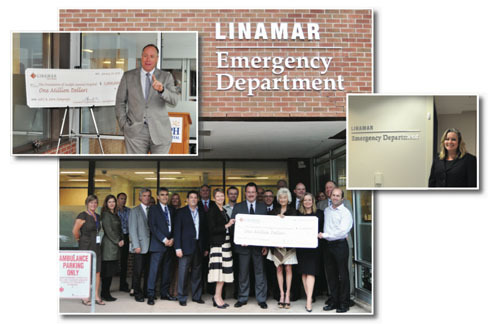 In the 2014 campaign, Linamar raised over $700,000. 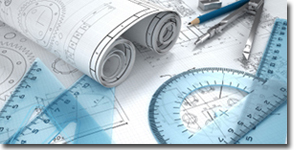 As a technical company that has great need for skilled engineers, we are committed to building the global competitiveness of the University of Guelph's Engineering program. Each year, ten engineering students receive scholarships to help them through their studies. We do not view these scholarships as a simple corporate donation, but as an investment in the future potential of these students who may one day become a part of the innovative team at Linamar. We assist Skills Canada - Ontario in their mission to expose Ontario's youth to the technological and employability skills that are necessary to make them valuable members of the skilled trades workforce. In addition to Gold Level Sponsorship, we host a networking dinner and summer camps to work towards this goal. Our employees and their families have always been important to us and we are proud to sponsor many local sports teams including Guelph youth soccer, youth baseball, youth hockey, youth swimming and in Hungary, Linamar PPM is the sponsor of the women's Volleyball Sports Club of Bekescsaba. In addition to encouraging a healthy, active lifestyle within our community, we also believe that it is important for today's youth to grow up with an appreciation for the arts. We have partnered with the Royal Ontario Museum and the River Run Centre to ensure that financial barriers do not stop students from enjoying the arts. A Guelph School Visit Bursary Fund allows Guelph-area students free admission when visiting the Royal Ontario Museum. And for the last decade, we have been making music, dance, and drama more accessible to Guelph elementary school students through their involvement with "Linamar for the Performing Arts".